Marketing and lead generation tactics have a bad rap for being pushy and for being indiscriminately unmindful of “private” space online. Customers are constantly bombarded with an onslaught of advertising all day long. The average online visitor has an endless stream of marketing messages and ads to contend with for as long as they are on the internet (both on desktop and on mobile). Banner ads, contextual links, pop-ups, pop-unders, dynamic opt-in forms, exit intent pop-ups, slide-ins — all these are things that the average visitor to your website puts up with. The whole aspect of whether or not you should take marketing to extremes is something that’s debatable. We are marketers. We get it. But we don’t want every website to blast sound horns or pop-ups either. But then, there are certainly more unintrusive ways to acquire leads on your website without being pushy, greedy, or plaster pop-ups all over your website. Let’s explore a few low-key lead generation tactics. The global average of conversions on your mobile pages is around 1.43% while it’s 3.89% for the desktop, according to Madeline Blasberg of Leadpages. As you can see, conversion rates are not that high. It’s an uphill task for every business to generate leads assuming they are hitting all the best practices and doing great with their website and overall web presence. If you have to do better, you’d need to beat those global averages. You’d either have to up your game with lead generation or get more traffic to your sites, or both. One of the ways you can really stand out is when you keep it all minimalistic and simple. Instead of opting for more lead generation elements such as opt-ins and forms, reduce them and use a strategic approach to have them show up. Everyone uses a blog sidebar. Remove it and provide for a full screen experience. 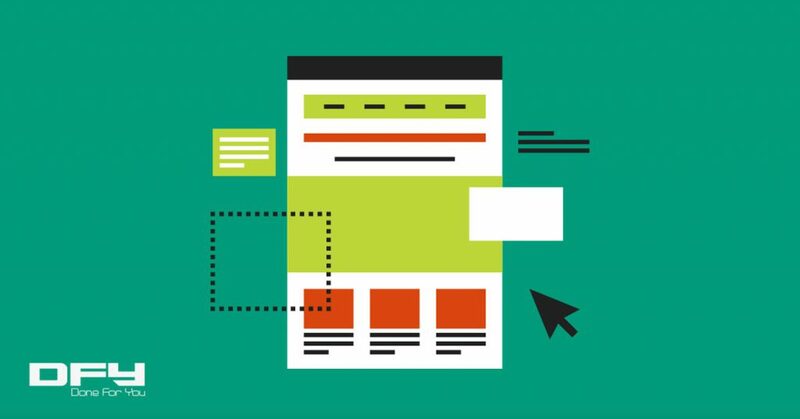 Instead of using a generic pop-up site wide, use specially-crafted, content-specific opt-in forms within each blog post (for blog content upgrades). Don’t use any pop-up. Use only exit-intent pop-ups. If you follow any of the content marketing best practices such as content upgrades, for instance, you’ll find that your website becomes a complete mess with all sorts of opt-in forms and pop-ups plastered all over your website and your blog posts. Instead of using pop-ups, slide-ins, and opt-in forms for lead generation all over your website, create a single landing page and use links to point to that landing page. Be sure to make this single landing page a complete entity by itself focused on lead generation by using a compelling offer — a free course, a free membership, an information-packed report, or a free video (or a set of videos). Links are clean, and a web page with content is a natural habitat for a link. If your website or blog had nothing on it except text, videos, and links, it’d be the cleanest user experience you’d ever manage to get for your visitors. A website without any of those annoying pop-ups but only strategically placed links is a breather — an oasis, really. Also, because of lack of anything else to click on, there are now more possibilities for your links to be clicked on while your visitors read and consume your content. Plus, by using just links instead of opt-in forms or pop-ups, only the most interested visitors will end up clicking on those links to sign up. Clicking on links leading to a sign up shows high-intent on the part of your visitors. This leads to a much higher quality of leads than you’d otherwise. The above two approaches for only for those who dare (or those who can get away with experimenting a little). Most businesses don’t have the time to experiment and they can’t afford to let go of potential leads, just like that. In other words, for some businesses, there’s just no way you can afford not to have pop-ups and other lead generational elements. In such cases, the next best thing to do with lead generational elements is to use “timing”. Use only highly-relevant offers on appropriate pages. Use exit-intent with relevant and timely offers. Or make those slide-ins come out only after your visitors pass certain rules such as “spent X minutes on site” or “visited X pages”. If you have to use your lead generation elements, make sure to time them properly. Get deep with page level elements or timed events so as to make them more relevant to your visitors. Are you going full on with your lead generation elements or are you scaling up? In either of the cases, how have your results been like? If you’d like to learn more about lead generation, running full-fledged organic or paid campaigns, building sales funnels or landing pages, get on a scheduled call with us now. We can also build Done For You Lead Generation Campaigns for you and manage the traffic! Click here to read more about it.